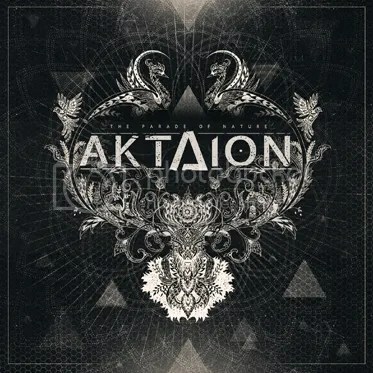 “The Parade Of Nature”, Aktaion’s sophomore album, is said to be for “fans of Soilwork, Killswitch Engage, Gojira” – which I find quite misleading. “Candid Flow Of The Shrapnel Dust” has indeed a whiff of Gojira but it soon vanishes away; it’s mostly the melodic part in “melodic death metal” that’s far too gloomy – almost depressive – that make the aforementioned recommendation unfit. It doesn’t mean fans of those bands won’t like this, of course, but they wouldn’t be the first, or even the second target audience to come to my mind. I’m having really mixed feelings about this. The technical guitar structure (like in “Gold Coloured Dreams”), with Christopher Amott throwing in some killer solos in a few songs (listen to the title track), all the experiments with the vocals – both clean and rough (“Walrus March”) – plus the occasional almost-prog shifts in tempo and the long duration of the tracks, all these features scream originality, which I always praise. But somehow the final outcome is messy. Maybe that’s Aktaion’s goal, as these songs are meant to reflect “a time with no hope nor a bright future” – and that they surely do. This entry was posted on 29th August 2016 at 3:48 pm and is filed under CD, Metal with tags Aktaion, Melodic death metal, self release, technical metal, the parade of nature. You can follow any responses to this entry through the RSS 2.0 feed. You can leave a response, or trackback from your own site.